The Corinthians Mouse Pad is a great choice to compose the ambience in a very Timão style. In rectangular format, the piece is manufactured in EVA and its design is predominantly black with the badge of the Popular Republic of Corinthians highlighted. More info. 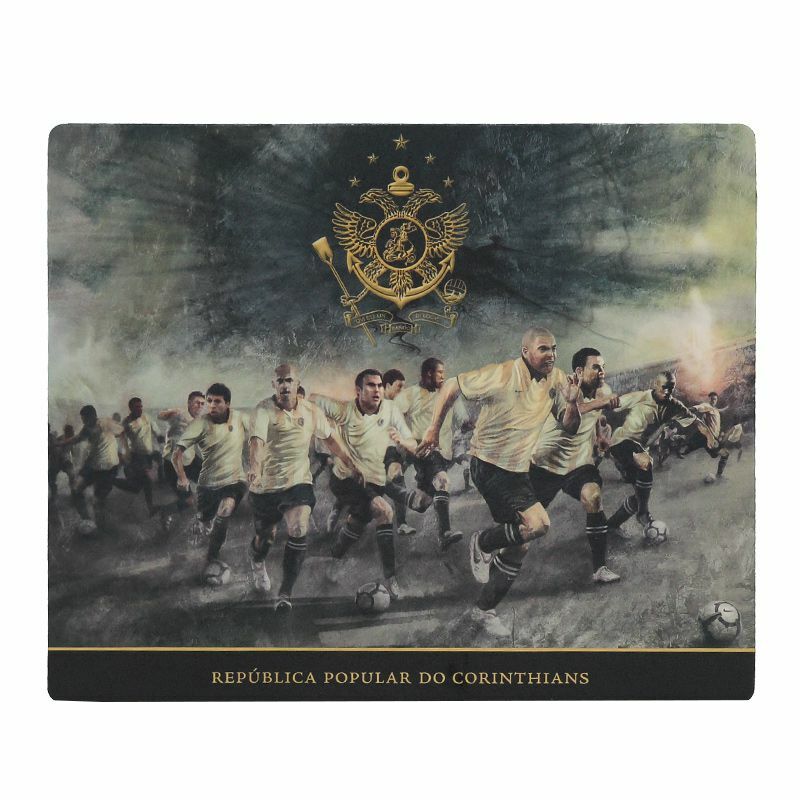 The Corinthians Mouse Pad is a great choice to compose the ambience in a very Timão style. In rectangular format, the piece is manufactured in EVA and its design is predominantly black with the badge of the Popular Republic of Corinthians highlighted, as well as players printed in high definition for better durability.